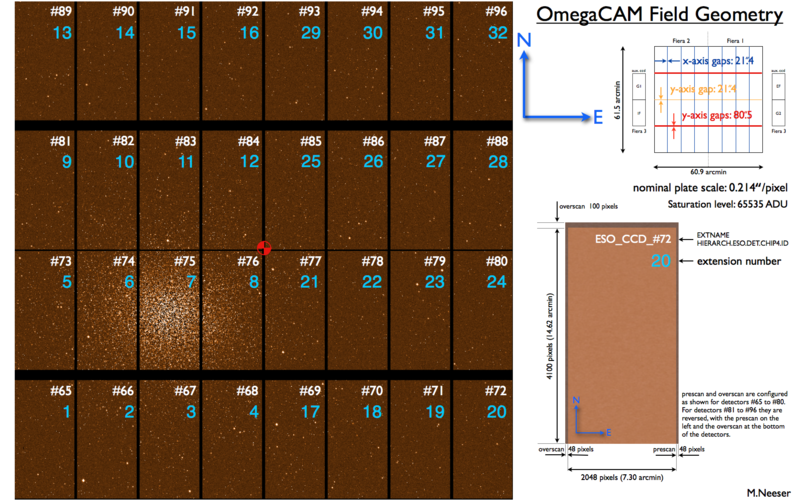 OmegaCAM is the wide-field imager located at the Cassegrain focus of the 2.6m VLT Survey Telescope (VST) on Paranal. 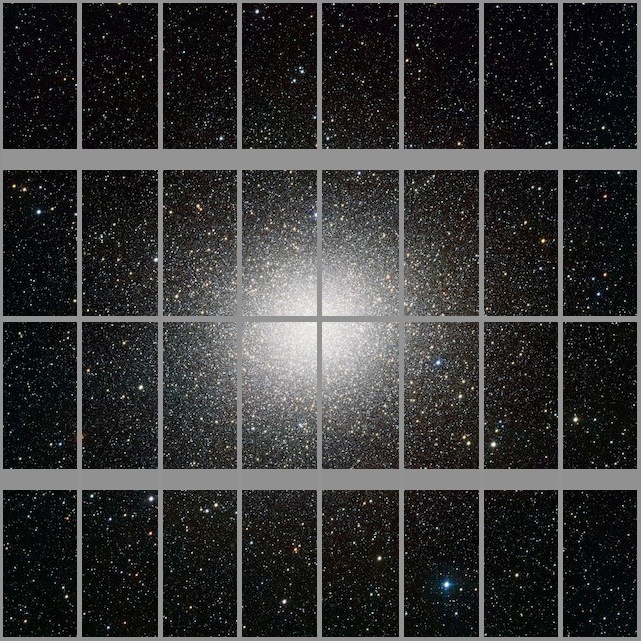 OmegaCAM consists of 32 e2v CCD's each with 2048x4100 pixels, giving a total of 16k x 16k pixels that cover 1 square degree of sky at a pixel scale of 0.214 arcsec/pixel. 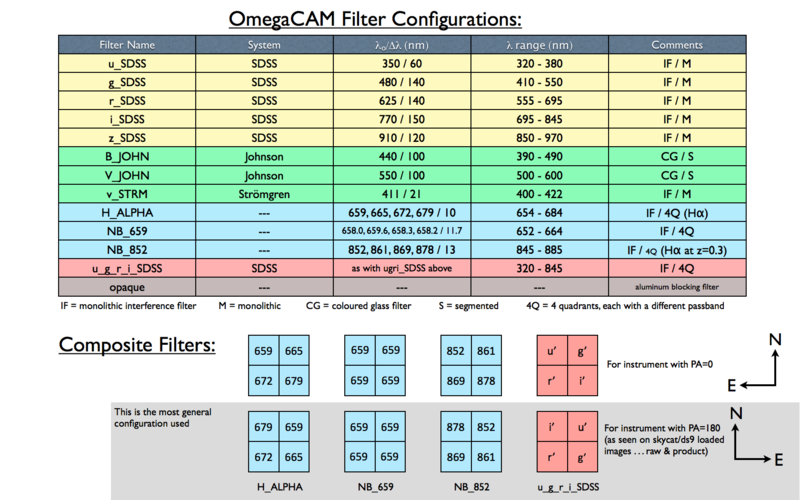 the OmegaCAM-specific query form of the ESO archive for data downloads.